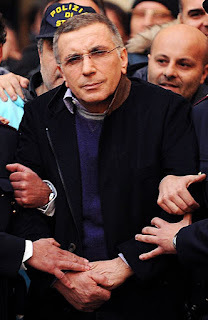 Michele Zagaria is an Italian Camorrista and one of the bosses of the Casalesi clan of Caserta, northwest of Naples. He was nicknamed Capastorta, which translates to wrong-head, because of his violent reputation. 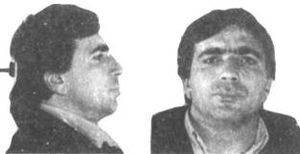 He was on the "most wanted list" of the Italian ministry of the Interior from 1995 until 2011 for murder, extortion, robbery and trafficking. 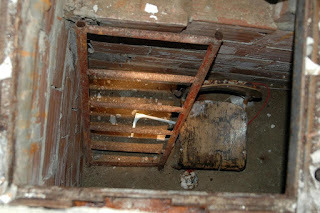 The 59-year-old mobster, who was finally found in a secret bunker near Naples after 16 years on the run, is now claiming that his image has been besmirched by a television drama about his life. He has taken exception to the TV series, called “Undercover – the capture of Zagaria” on Italy’s state broadcaster. The broadcaster refused to pull the drama and so Zagaria decided to take the case to court, with a hearing due to be held in Rome on November 28th. He is seeking €100,000 damages and the series be pulled. 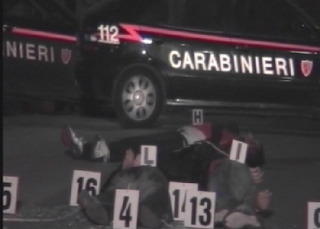 His first arrest dates back to 1988, when he was found with a 7.65 submachine gun ... the weapon of choice for soldiers of the Camorra.